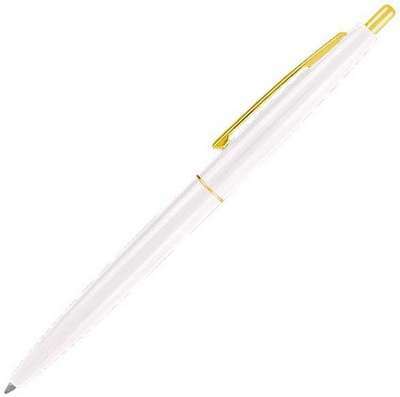 This Seville gold click pen has a colored barrel with gold trim for a touch of class and a simple plunger action mechanism. The Empire Seville Gold Click Pen is an instrument of ultimate class and style. Its professional executive design imprinted with your brand logo, urges and tempts you to gift these to your customer for it truly represents your company’s professionalism and performance. 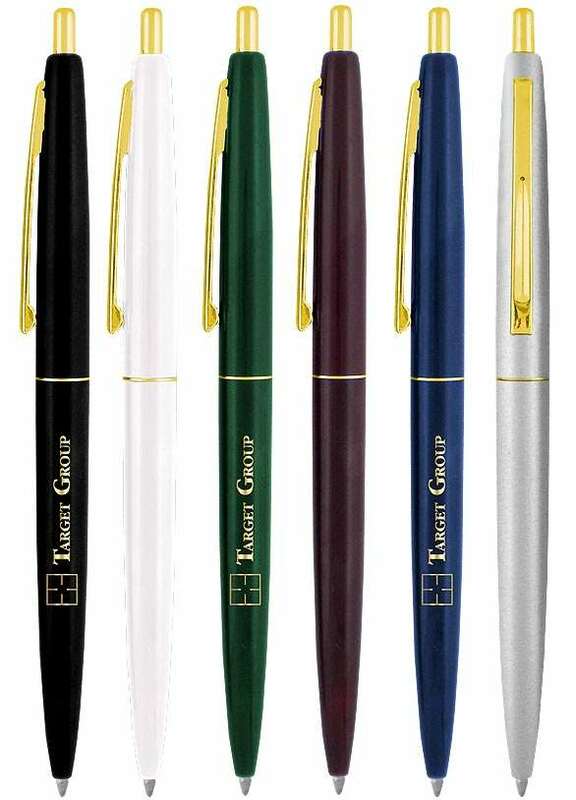 The metal clips with gold trim add that extra sheen to this stylish instrument and hence makes for a perfect giveaway to all your corporate high profile customers. 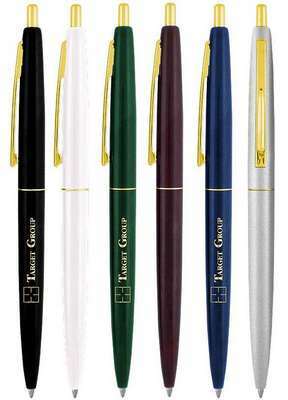 The pen works on a click action mechanism for ease of usage and comes in stunning solid colors on the plastic barrel.